In Part I, we gave some basic guidelines for converting aircraft from previous versions of Flight Simulator to FSX. 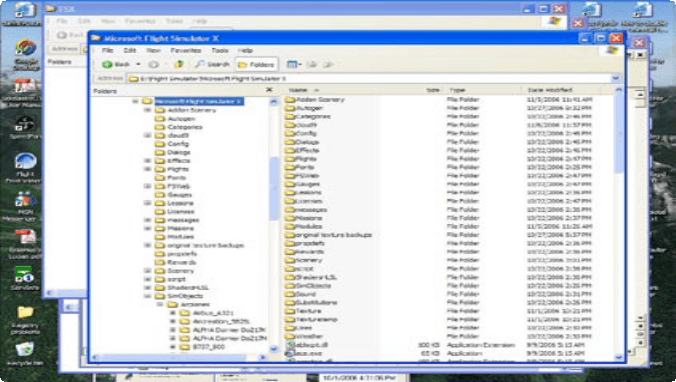 We reviewed the tools you would need, common file and folder locations, and outlined procedures for three different scenarios: conversion of an aircraft that’s already working for you in FS9, how to install an aircraft from a zip archive, and how to deal with installer programs. 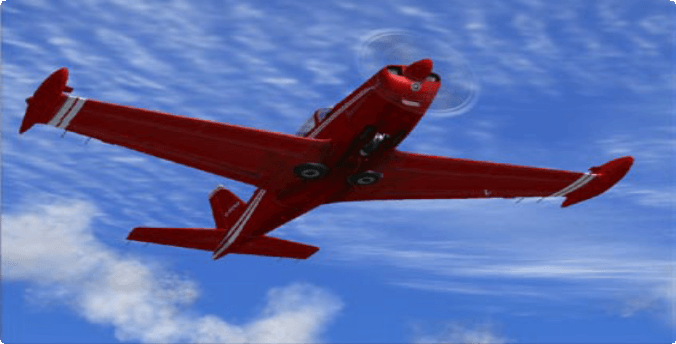 We showed how to add an FS9-style Aircraft folder for converted aircraft and discussed thumbnails. Using these techniques, it’s possible to use and enjoy a great many of our favorite aircraft from FS9, both freeware and pay ware. Some aircraft stubbornly refuse to operate properly in the new sim, including the PMDG 747 and the Level D 767; these birds are grounded until the developers come out with new versions that are made specifically for FSX. But there is a large middle category of aircraft that can make the jump, but still need some tuning on the other side. For example, the exterior model will transfer perfectly, but the cockpit is missing gauges. Here in part II we’ll describe some of the more common problems and their solutions. My advice, if you’re just joining us, is to go back and read part I of this article (which you can purchase, if need be, from the Computer Pilot website), and practice the basic techniques by converting one of the default aircraft from FS9, such as the Lockheed Vega or Ford Tri-motor. Once you understand the concepts, you’ll be ready for the advanced techniques in part II. To start I’m going to describe, in step-by-step detail, how to convert a specific item of pay ware, the Marchetti SF.260 from RealAir Simulations. You may not own this particular plane, but the problems I’ll talk about are common to many converted aircraft, and so are the techniques we’ll use to solve them. We begin with the aircraft already installed in FS9. (As I said in part I, don’t be in a hurry to remove FS9. Disk space is cheap and there’s a lot we can borrow from the old sim.) If, for some reason, you don’t have the Marchetti installed in FS9, my advice is to install it in a blank folder. Do not try to install an FS9 add-on directly into FSX; it might work, or it might make a big mess. Avoid the mess, install into a blank folder. 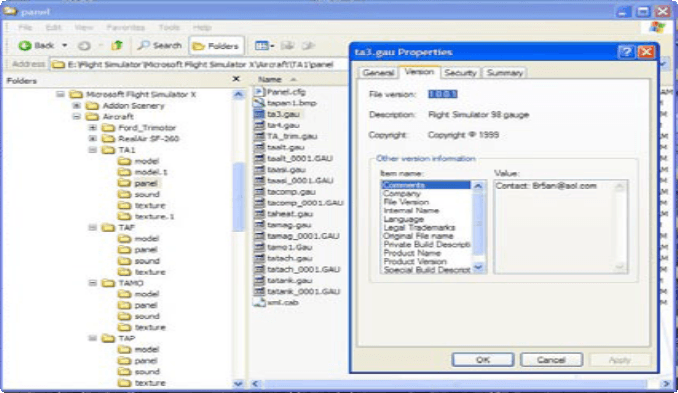 Using Windows Explorer, go to your old FS9 folder and open the subfolder called Aircraft. Now start a second copy of Windows Explorer, go to your FSX folder, and open the Aircraft folder there. (By default, FSX doesn’t have an Aircraft folder; I explained its usefulness and how to make one in part I.) Ready? Now copy (don’t move) the subfolder named RealAir SF-260 from the Aircraft folder in FS9 to the Aircraft folder in FSX. That doesn’t work, though. (I’ve tried.) Something is different in FSX and aircraft don’t look in the common Texture folder anymore. Instead, we need to copy all of the RAS textures (the ones we just found in the FS9 Texture folder) and paste them into the texture folders of this particular aircraft. And since the Marchetti has eight different texture folders (one for each paintjob), we are going to do this eight separate times. That’s not an efficient use of disk space, but it works. Let’s see how that worked. 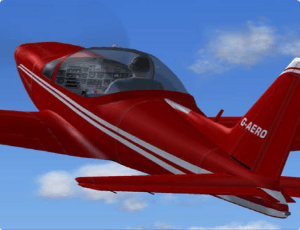 We fire up FSX, create a flight, and choose the Marchetti for our aircraft. We don’t have any thumbnails yet, but we know (from part I of this article) how to create them. Once the flight is loaded, we do a visual inspection of the exterior. So far so good, although the canopy looks opaque, grey instead of clear. When we switch to the virtual cockpit, we notice more problems. First, most of the gauges are missing, including the starter switches. We can start the engine from the keyboard (with Ctrl + E), and the sound is all right, but the prop looks wrong and the windows are clouded over with that same grey film. These are all signs that textures are missing. In Flight Simulator, most aircraft store all of their textures—the digital paint that is draped over the aircraft skeleton—in subfolders that begin with the word texture, such as texture.0, texture.1, or in the Marchetti’s case Texture. GAERO. Sometimes, though, textures that are shared by all of the liveries are located in a common folder that is shared by the whole sim. This common folder, called Texture, is located in your main FS9 folder. Looking inside, we find about 1,000 files, most of them ending with the extension .bmp. Now let’s reload the aircraft and test. How do you reload an aircraft? Good news: you don’t need to restart the whole sim, or even your current flight. Instead, select Options from the main pull-down menu, then Settings, then Controls. Choose the Buttons/Keys tab and then scroll down to Aircraft (reload). You can assign it to any key-combination you choose, but I use Ctrl + Shift + R. Click ok and you’re back sitting in the cockpit again. We reload the aircraft (using the key we just assigned) and look around. The gauges are back, the canopy window is clear, and the prop looks normal. We’re getting somewhere, but we’re not done yet. The first sign of trouble is the whiskey compass: it’s spinning uncontrollably, even though the plane isn’t moving. If the compass were invisible, we’d suspect a missing gauge, but we can see the compass all right, so it isn’t that. Another problem is the navigation and strobe lights: they won’t turn on. Also, when we change the time to night, the cockpit lights are flickering. The clue here is lighting. In Flight Simulator, lights are usually classified as Effects. The lights aren’t working correctly because the Marchetti uses custom lighting effects, and those effects haven’t been transferred yet. 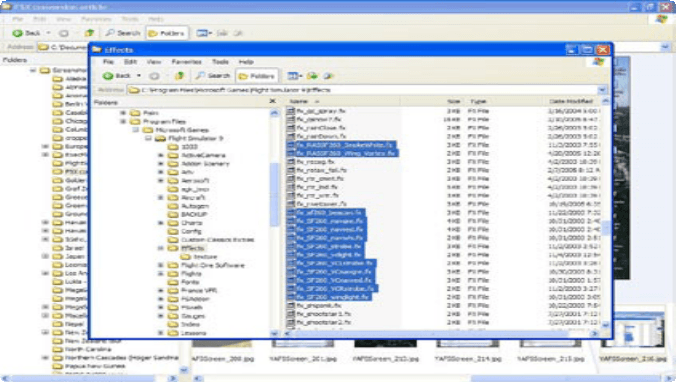 Using Windows Explorer, we go to the FS9 folder and open the subfolder called Effects. It’s full of files, all of which probably end with the extension .fx. Which ones need to be copied over? Using Notepad, open the file named aircraft.cfg. Scroll down to the sections that begin [LIGHTS] and [EFFECTS]. This shows the file names (with the .fx extension) of all the effects that the aircraft is trying to use. Some of them are already present in your FSX Effects folder. How do you know which ones? Look in your FSX Effects folder. In this case, all of the files that are listed in the [EFFECTS] section of the Marchetti’s aircraft.cfg file are already installed as FSX effects; we don’t need (and we don’t want) to copy over the older files. It’s the missing effects that we need to copy over—again, copy don’t move—from FS9 Effects to FSX Effects. In this particular case, we need the two files that begin with fx_RAS and the eleven files that begin fx_sf260. We are almost done with the effects. Like aircraft, effects sometimes have textures of their own. These are stored in the texture subfolder of Effects. Scanning the list, we notice one with a file name similar to the FX files we just copied over: SF260_SmokeWhite.fx. Copy this file into the texture subfolder of FSX Effects. That’s it for effects. We reload the aircraft. The whiskey compass has settled down and looks normal again. The NAV and strobe lights come on and the cockpit lights don’t flicker. Our favorite GA plane now works in FSX! Let’s look at the first line. SF260 is the name of a gauge file. The file name is separated from the gauge name, Manifold Pressure, by an exclamation point. When this happens, it usually means the file contains several gauges. If there’s no exclamation point, then the gauge name is also the file name. That’s nice to know, but how does it help us? When you transfer an aircraft to FSX and a gauge goes missing, it’s usually because a gauge file didn’t get transferred. By looking at the gauge lines in panel.cfg, we can find out what gauge files the aircraft is trying to use. Question is, where do we find the missing gauges? Usually they are in FS9’s main Gauges folder. Now that we know what the file names are, we can look for them in Gauges using Windows Explorer. Once we’ve found them, we have two options. We can copy (not move) them into FSX’s Gauges folder, where they’ll be usable by any other aircraft that we transfer. (Some folks have gone so far as to copy all of their FS9 Gauges into the FSX Gauges folder, just to save future hassle. This can work, but be very careful not to overwrite newer, FSX files with older, FS9 files of the same name.) The second option, for cautious types, is to copy the gauges you need into the new aircraft’s Panel folder. The advantage of this is that if you decide later to remove the aircraft from FSX, you can just delete its aircraft folder, and all of its unique gauges will be removed as well. When you load a new aircraft for the first time, FSX will frequently ask you to confirm the publisher, gauge, or module. It may do this for every new gauge, and if there are new gauges in the virtual cockpit (VC), it may ask you to do it twice. Generally speaking it’s safe to click “Run” (for so-called unknown publishers) and “Ok” (to trust gauges or modules). This is cumbersome, but if the gauges work then you only have to do it once. To solve this problem, you need to substitute a modern gauge that does the same thing. For an example of a successful substitution, look in the AVSIM file library for Bill Lyons’ Travel Air biplane (tamo_fsx. zip), which Bill Schulz has updated for FSX using gauges from the default Beaver and other aircraft. This is a fuel gauge, and it’s one of several gauges in a file named obsoleteaircraft. The first thing we need to find is another fuel gauge. Let’s make this easy and use one from th e FSX default planes. (We’re not limited to default gauges, but we know these will work.) Now, where are the default planes? They’re in the SimObjects folder, under Airplanes. gauge05= stayed the same, and so did the string of numbers at the end. We save panel.cfg and reload the aircraft. The error message is gone (at least for the fuel gauge), but the new gauge isn’t showing on the panel. Why not? It all depends on where the DC-3 is getting its gauges from. If they’re in the main Gauges folder, then any aircraft can use them. What do gauge files look like? Usually, their file names end with .gau, .cab, or for newer gauges .xml. We know from the DC3’s panel.cfg that the name of the gauge file begins with Douglas_DC3, but there’s nothing like that in the main Gauges folder for FSX. Then we remember: gauges can also be hiding in an aircraft’s panel folder. Sure enough, if we look in the DC-3’s panel folder, we find the file: Douglas_DC3.cab. To make this gauge usable for other aircraft, we have two options. We can either copy (not move) the DC-3 gauge file into the main Gauges folder, or we can copy the file into our converted aircraft’s panel folder. The advantage of putting it in Gauges is that other aircraft that we add later can use the same file. We copy the DC-3’s gauge file into the main Gauges folder and reload the aircraft one more time. The new gauge should now appear on the instrument panel, in roughly the same location as the old one. We may need to adjust its height and width, by editing the last two numbers on the gauge definition line (in our example, 128 and 128). Unless we have a panel editing program, such as FS Panel Studio, we’ll need to experiment with different values, saving panel.cfg each time and reloading the aircraft. The main thing is we now have a working gauge, and if there are more obsolete gauges in the aircraft we are trying to convert, we know how to replace them.